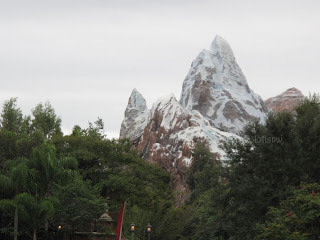 This is the world's highest peak, at least the replica of it, lol, at the Disney World's Animal Kingdom Park. It was a very cold morning for us when we went to the park we were practically shivering, but we enjoyed the day all the same. It was an unforgettable experience for me.